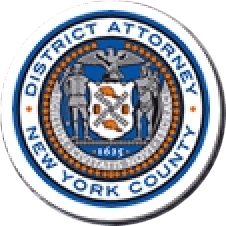 Manhattan District Attorney Cyrus R. Vance, Jr., today announced the sentencing of DANIEL FODIMAN, 52, to 2-to-6 years in state prison for defrauding investors through a Ponzi scheme involving the false promise of funding profitable short-term investments. On February 23, 2016, the defendant pleaded guilty in New York State Supreme Court to all of the charges in the indictment against him, including Grand Larceny in the Second and Third Degrees, as well as Scheme to Defraud in the First Degree. As admitted in the defendant’s guilty plea, between 2010 and 2015, FODIMAN solicited money from investors under the pretense of funding profitable short-term investments and the purchase of store merchandise for resale. The defendant falsely told investors that the majority of the merchandise would be sold to TJ Maxx, a department store chain, entitling FODIMAN’s investors to a return of the principle and a portion of the profit. However, instead of using investors’ money to purchase commercial goods and products, the defendant used the funds to pay other investors as part of an ongoing Ponzi scheme. FODIMAN also used hundreds of thousands of dollars in cash withdrawals and personal expenses. In some cases, FODIMAN also convinced investors to make payments directly to other investors through various misrepresentations. In an attempt to disguise the scheme, FODIMAN provided investors with falsified TJ Maxx purchase orders and bank statements altered to show hundreds of thousands of dollars in pending payments that were, in fact, non-existent. The defendant also sent emails purporting to be sent from TJ Maxx describing legitimate business transactions and forthcoming payments. In reality, FODIMAN never sold any merchandise to TJ Maxx. Assistant District Attorney Sean Pippen handled the prosecution of the case, under the supervision of Assistant District Attorney Garrett Lynch, Deputy Chief of the Major Economic Crimes Bureau, Assistant District Attorney Christopher Conroy, Chief of the Major Economic Crimes Bureau, and Executive Assistant District Attorney David Szuchman, Chief of the Investigation Division. The following individuals provided additional assistance with the case: Investigative Analysts Thomas Kendris, Kate Fisch, and Nicholas Frandsen; Associate Financial Investigator Hermeet Kaur from Forensic Accounting and Financial Investigations; and former Rackets Investigator Jaime Mercier-Blanchard.